In October, as a part of my whole ‘intentional mothering’ group, I read a couple of essays on holiday advice. The both stressed how, in the end, children want our time. So, I thought this year I would try to see if we couldn’t figure out a way to go out of town-and to do that instead of presents. Initially, I wanted to go somewhere that had a real chance of getting snow. Which turned out to be a crazy idea. We ended up going to a cabin in Blue Ridge. 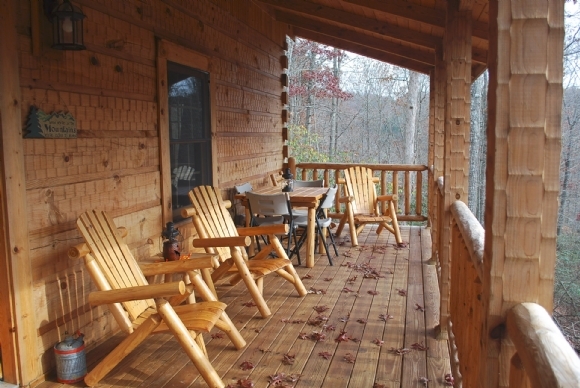 Choosing this cabin was perfect-inexpensive, about an hour from where we live-so no driving time. We also had wifi-which, shamefully, was a lifesaver. I’m sorry-but sometimes around 6 p.m. I need the little people out of my hair for a few. It also was far enough to be able to see the stars at night (no street lights cars) and close enough in to have a drugstore open on Christmas Eve to get batteries. hahaha. The whole ‘presence not presents’ thing not so successful in theory but def. in reality. Seeing stars at night is amazing. No street lights, store lights, etc. You can’t do chores if there are none to be done. I am embarrassed to say that I spend way too much time doing things around the house that don’t have to be done instead of spending time with the kids. Like straightening up the deck. Who cares! Christmas Eve for “Santa” is MUCH easier and ((GASP)) fun when out of town. You don’t feel guilty all week walking through your house seeing all the things that need to be done. Your house is perfect during the holidays-which you shouldn’t want but do-b/c it’s someone else’s. And this someone else doesn’t have 3 children. It’s so nice to sit outside in the quiet with your spouse. You get to do all things you keep wanting to do with your kids-like learn to do the ‘whip nae-nae” via Youtube videos. You know, the important things in life. It was small enough that the children could take baths/straighten their rooms while you loaded the dishwasher:). Cabins/vaca places always have relaxation extras-ours had a jacuzzi and a firepit. So much fun and so nice to have! Cooking makes the whole cabin smell so Christmas-y.